GeekVape's Ammit Dual V2 RTA follows up on the critically acclaimed Ammit Three Dimensional Airflow RTA, presenting a postless dual coil build deck, an expandable tank capacity for all day range, all paired with a dynamic airflow system. The Ammit Dual V2 RTA's ability to produce immense flavor and vapor production stems from its core, a postless build deck with multi directional air channels and large wicking cutouts. The pair of centralized air channels brings airflow beneath the coils, while the outer channels direct airflow around the side and up towards the domed chimney, all controlled from a four position airflow control ring. 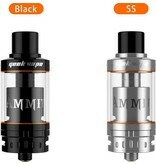 The Ammit Dual V2 RTA comes as a 3ml compact tank system which is expandable to 6ml using the included chimney extension and extended glass section. GeekVape keeps the user in mind with the integration of a dimpled adjustable airflow control ring, adjustable juice flow control ring, and knurled removable top cap for filling for ease of use. The Ammit Dual V2 RTA utilizes a 810 drip tip platform and includes an ULTEM 810 drip tip as well as a 510 drip tip adapter. 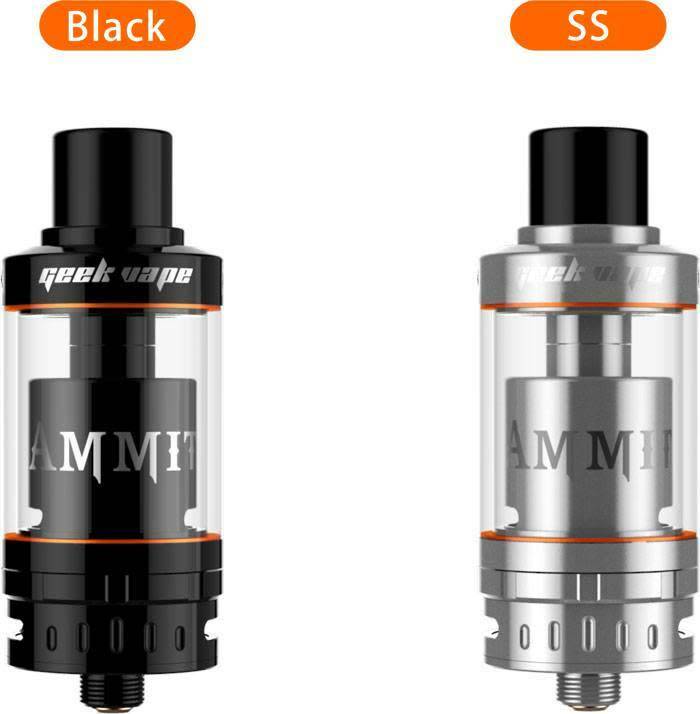 Offering an expandable juice reservoir, a postless dual coil build deck, and one of the most advanced airflow systems, the GeekVape Ammit Dual V2 RTA is a worthy competitor to all RTA's thus far.